It is great to see leading GISV vendors engaged in this way. I have no doubt ZAP and Flintfox working together on this project will literally bring great value to our mutual clients. 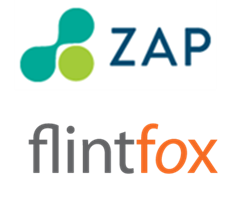 Flintfox International, a leading global provider of revenue management software solutions and services, announced today that it would be partnering with ZAP to deliver strategic industry analytics in conjunction with its trade promotion management software solutions. Flintfox’s advanced pricing and trade promotion management solutions for Dynamics help manufacturers and distributors understand and execute optimal revenue models. A Microsoft Global ISV, Flintfox solutions are focused on improving operational efficiency auditory compliance, enabling scalable growth and improving responsiveness across sales channels. ZAP provides a unique, out-of-the-box business intelligence solution using its deep industry expertise and data analysis skills to create solutions for Microsoft Dynamics with industry focuses. ZAP deployments are rapid, deliver immediate outcomes, are tailored for each user in an enterprise and provide organizations with BI self-sufficiency. The collaboration enables both ZAP and Flintfox to take advantage of their joint Global ISV status and provide an integrated and world’s best practice trade promotions management solution combined with effective and relevant analytics from ZAP to deliver customers an experience unlike anything else available. "As our customers expand, aggregating and harmonizing data around rebates and promotional effectiveness becomes paramount. This new collaboration with ZAP will allow us to overlay the latest thinking in illustrated data across our pricing and promotion engines." Mike Ridgway, CEO, Flintfox. Lindsay Zwart, Industry Director for Microsoft US said of the partnership "It is great to see leading GISV vendors engaged in this way. I have no doubt ZAP and Flintfox working together on this project will literally bring great value to our mutual clients." With customers in more than 50 countries spanning from mid-market local businesses to those supporting Fortune 500 credentials, ZAP focuses on providing real business outcomes through the integration of its’ best in class business intelligence solutions to those ERP and CRM solutions delivered by Microsoft Dynamics. For more information visit: http://www.zapbi.com.